Roku is a popular streaming TV & media player, which enables people to watch great content online. There is a plethora of wonderful channels you are able to enjoy on Roku, including HBO and Hulu, Netflix and Pandora, PBS and Amazon Instant on Demand, Vevo and Disney, as well as many more. As you can imagine, this is a greatly appealing option to consider when residing in the United States of America. Sadly, though, expats and people traveling abroad for some reason (be it for work or studies or even on holidays) do not have the same privileges. Due to several copyright restrictions, it is not possible for people outside US to get Roku USA channels and get the content they want. 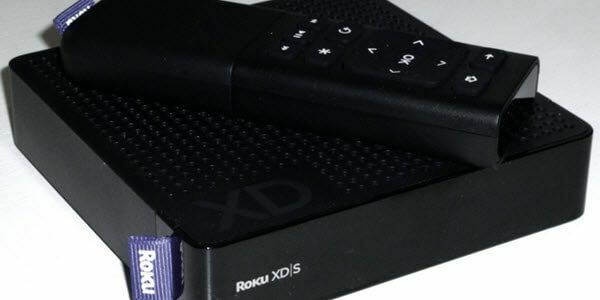 In this article, we are going to show you how you can get a Roku American account and then how you can overcome the geographical restrictions and enjoy the content of your preference. So, let’s start! If you are located in the United States, this will not be a problem. If, however, you are not in the States, you have to mask your IP first and then get a Roku account. As you are going to read further below, there are two ways for you to mask your IP and bypass this problem standing in the way. The first method is called the VPN and the second one is the DNS. Either way, having completed the process and having installed the VPN or DNS on your device, you will be able to get a US IP address and consequently get the Roku account going. You need to setup your network “Not the Roku itself, it has limited Network config options” with either one of the two methods on offer and you are good to go. So, let’s see what the VPN and DNS are all about, shall we? VPN stands for the Virtual Private Network and it is a way that allows you to encrypt all of your traffic. Using remotely located servers, they offer you a wide selection of IP addresses that meet your criteria and unblock the channels and websites for you. With the use of encryption, you not only get the chance to mask your IP and trick Roku (and other devices) that you are located in the US. In fact, you also get the benefit of protecting your Internet connection and avoiding all sorts of threats (such as hacking attempts and so on). One VPN that I can recommend without any second thought is ExpressVPN. Be sure, though, to use the respective VPN server that unblocks the channels of your choosing at a time. For instance, when using a US IP address via the VPN, you will not be able to watch your local geographically restricted sites if you’re outside of US (for example). But that’s not an issue actually, you simply disconnect from VPN and you’ll be good again to access your local content – now that’s all common sense. Last but not least, sometimes, you may experience some speed loss (not much) due to the encryption. Smart DNS services do not include any encryption whatsoever. You do not mask your IP address for all the sites you visit, rather than unblock specific channels and sites at a time. This allows you to stream all the content without any speed loss and this is great, considering the need for fast performance and awesome quality on the streaming content. With SmartDNS, there is no delay in the setup procedure, as it is completed in a few moments and it works on any device. On Roku, you just sign up to a good provider such as unblockUS SmartDNS and get the DNS codes you need. You add them to your router and you are ready to start watching the channels you want. Beware, though, of DNS hijacking and transparent proxies from your Internet Service Provider. If any of the two is the case for you, DNS will not be a great solution to consider. Having chosen one of the two above mentioned options for masking your IP and appearing to be located in the United States of America, things are pretty simple. You connect to Roku and you select the channels of your preference. This is it, go ahead and unblock USA Roku channels outside the US promptly and efficiently!